In Co-Production between IATI and AENY | Spanish Artists in New York, award-winning Spanish actor and playwright Juan Diego Botto’s latest work is a revealing look at the hot-button issue of (im)migration from the perspectives of those who have experienced the loneliness, loss, and ultimate resolve. By bringing the stories of these individuals to the forefront, An Invisible Piece of this World humanizes the headline-making numbers and statistics. There is only one hero, in this play. The immigrant’s journey is told in multiple stories by the ensemble cast. 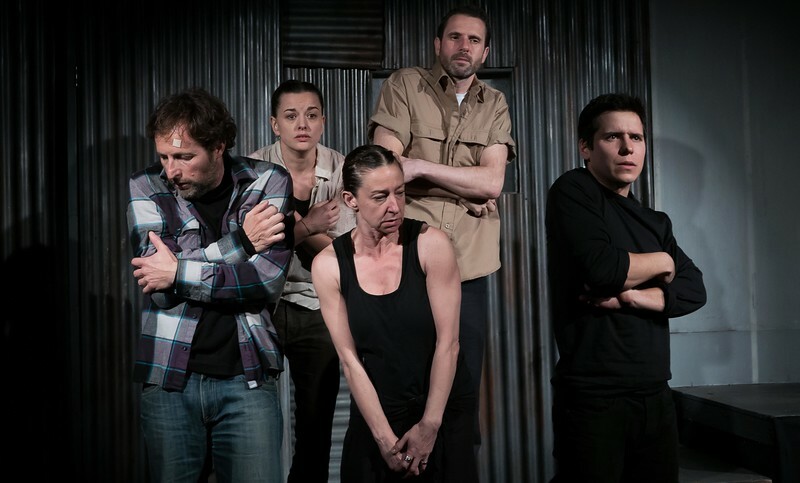 Structured in a set of monologues, the director opted for this production to be an ensemble cast of five who at a given moment step into the shoes of immigrants that embark on a journey to the unknown. Each story is told as humane relief, but also as a statement of activism. Through his collaboration with several humanitarian organizations, Juan Diego Botto passionately retells five unique stories that explore the desolation and wounds of exile as well as the human drive to survive.